VIZBI 2013 was – once again – a very exciting and engaging meeting; many thanks to the speakers, session chairs, poster presenters, tutors, and all who contributed. Overall, the feedback was extremely positive (see below), indicating that VIZBI continues to address an important need that is otherwise largely unmet. Thanks also to those that took the time to give us feedback, including many useful, specific suggestions for improvement; drawn at random from all feedback respondents, the winner of the Interactive Gesture Camera was Dr James Hogan (QUT, Australia). We hope you can join us for VIZBI 2014 (March 5-7) at the EMBL in Heidelberg, Germany, or again in March 2015, when VIZBI returns to the Broad Institute in Cambridge, MA, USA. 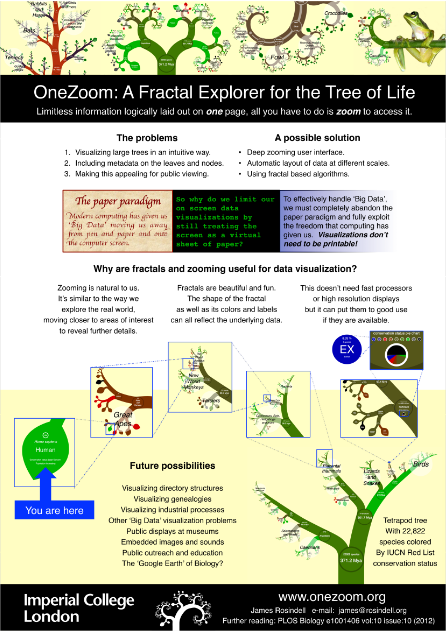 At VIZBI 2013, the NVIDIA award for best scientific poster went to James Rosindell from Imperial College London, UK, for his poster ‘OneZoom: A Fractal Explorer for the Tree of Life’. 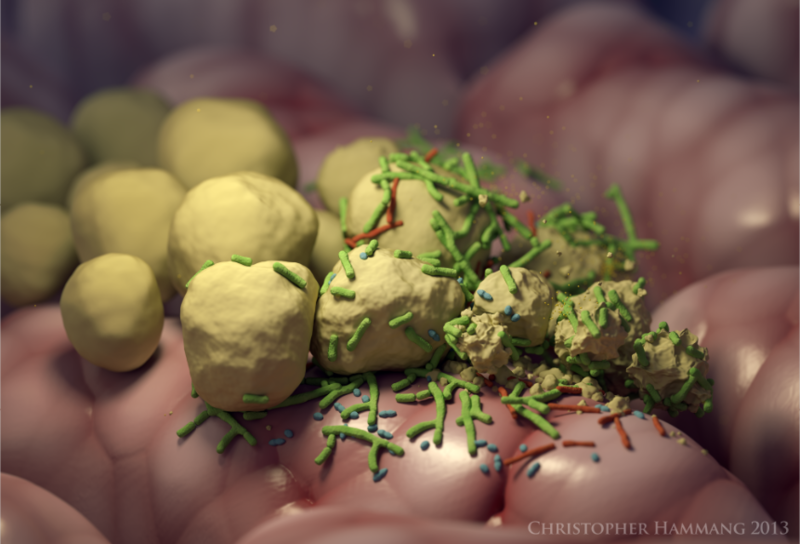 The Autodesk award for best Art & Biology poster went to Christopher Hammang from CSIRO, Australia, for his poster ‘The Hungry Microbiome’. Both awards were decided by popular vote open to all conference attendees. James received an NVIDIA Quadro K5000, and Christopher received a Maya license. Congratulations James and Christopher, and many thanks once again to our two generous sponsors.